The spread of IoT is shifting the paradigm that businesses used to rely on, which can be painful and disorientating. Getting ready to embrace the changes in their entirety and turn them into advantages. We will be looking at the IoT-powered business ecosystem from four different angles to highlight the importance of consolidated work across departments and job roles. ROI — let’s not go round in circles and start from No1. As not all possible (relevant and profitable) uses of IoT in a particular business setting are easy to predict or even envision, it is critical to align expectations across all functional units in an organization regarding financial and intangible benefits as well as shortlist potential IoT-enabled projects that will stimulate the money flows. Personnel — the arrival of IoT into the company triggers significant changes in the human resources population and allocation. IT goes beyond the IT department and into virtually every division of the company penetrating deep under the skin and becoming an integral component of the business success. Executive buy-in — members of the C-suite are the ultimate decision-makers, and their concerns, misunderstanding, or indifference may result in turned down or delayed ideas and projects. They are busy people and need concise facts, figures, and solid arguments to get on your side. Cyber-physical security — since IoT devices get closer to humans and can absorb a lot of sensitive information, ensuring safe storage and access in a must. And as many of the smart devices are personal and mobile, technological security (e.g. encryption, authentication, secure channels) is barely sufficient unless paired with physical-level protection. More devices to protect means more potential breach points to monitor, which in turn demands higher performance algorithms to keep them safe. What complicates the issue even further is a chronical lag with firmware and software updates pertinent to most individual and corporate customers. When the device is first set up after purchase, it has high chances of being stable, reliable, and malware-proof; however, once it becomes a widespread commodity product and hackers find bugs in it, the performance and dependability are compromised. Analytics — the value of data comes from analysis, and the volumes of data to generate insights from bloat at the speed of light. Moreover, basic statistical measures and standard regression models cannot offer the level of precision that could differentiate the company from competitors — more advanced, sophisticated, and adaptive solutions, often using AI and ML, are gaining momentum. Real-time decisions — in addition to increasing amount of data to be analyzed, the acceptable latency of data processing operations has greatly reduced. Many IoT-reliant systems, such as driverless cars or VR need true real-time decision-making. Current cloud-based systems cannot fully respond to the demands of such applications — they are not fast enough (since 100 milliseconds response rate is sometimes too slow) and pushing and pulling exabytes of data back and forth is time-consuming. Attempts are made to move data processing to the edge to minimize storage, power, and time consumption. Software solutions allowing to do analytics midway are also showing up. 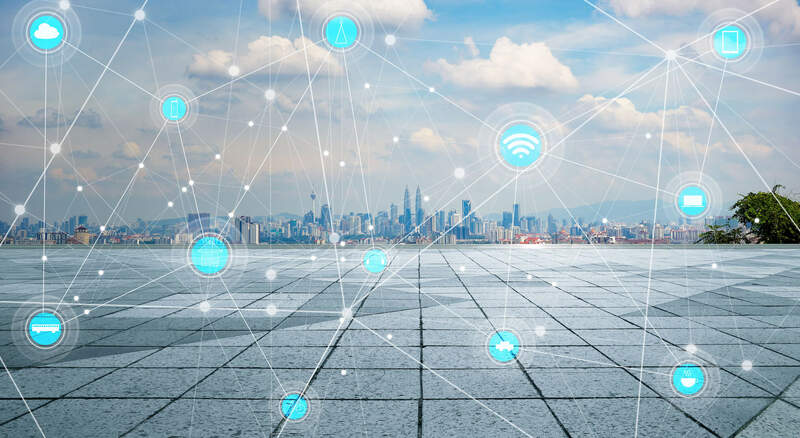 Interoperability — the synergetic effect is inherent to the IoT world in great measure — about 40 percent of an IoT system’s potential value comes from its ability to interact with other systems. This area is currently highly underdeveloped and few systems offer decent connectivity options to integrate with multiple platforms and take advantage of joint data sources. Energy — with everyone trying to go green, IoT is currently swimming against the stream — even though the devices themselves will mostly be low-voltage, their quantity (20B by 2020) is an impressive multiplier. Huge data centers popping up to serve increasing data flows are also significant power consumers. Waste — the world generates about 50B tons of e-waste a year with only 15-20 percent recycled. Developing economies of such densely populated countries as China and India are rapidly becoming flourishing consumer markets, with the culture of recycling lagging far behind. Presumably having the lifespan of just a couple years, IoT devices with have tremendous contribution into the e-waste. Privacy — voluntarily or not we are surrounding ourselves with dozens of “sensing” devices stimulating interest from a growing number of parties. Governments and corporations are the most powerful birds of prey already flocking around the treat. Loud lawsuits related to the use of private data have already been hitting newspaper headlines with enviable regularity, but determining the boundaries of privacy in the connected world is yet to reach the top line on the agenda. Standards — with dozens of device manufacturers and hundreds of IoT software providers the need for unification and standardization is obvious. However, at this early stage of development few players pay attention to this aspect. As the scale of projects grows and the need for external communication becomes undeniable, the pioneers will have the edge over the rest of the companies and might also serve as trendsetters for open standards in the field. Global reach — laws vary immensely country to country, so building a truly international business performing equally well across the globe and delivering comparable services may require a lot of negotiations, workarounds, and compromise. Accounting for the above hurdles early in the planning process will help keep IoT integration efforts on track and will alleviate diffusion into the company-wide strategy. Using Thingsboard platform to trigger alarms and send email notifications upon flespi stream errors.